Preheat oven to 400°F. 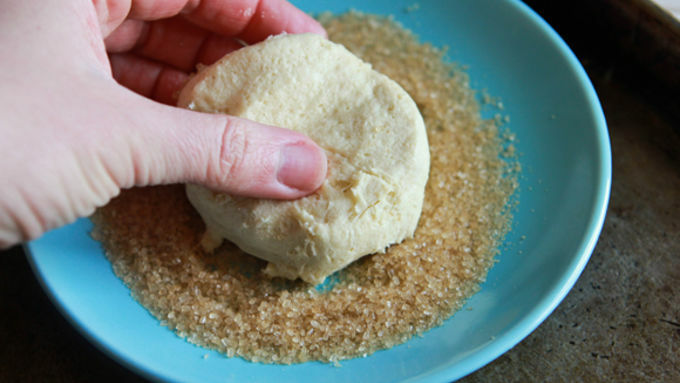 Prepare a baking sheet with parchment paper or nonstick cooking spray. Open the tube of biscuits. 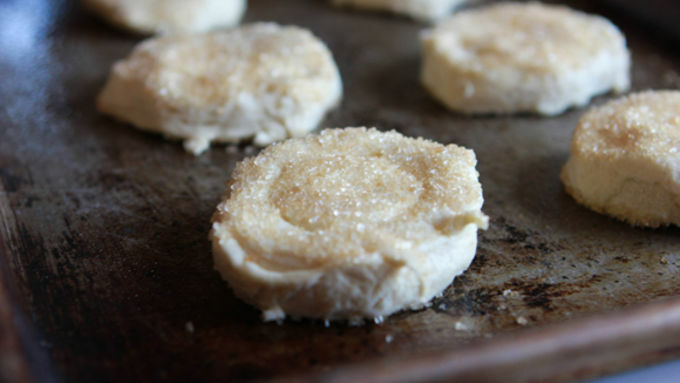 Press the top and bottom of each biscuit into the turbinado sugar. Transfer to prepared baking sheet. Bake biscuits in preheated oven for 10-13 minutes, or until light golden brown. 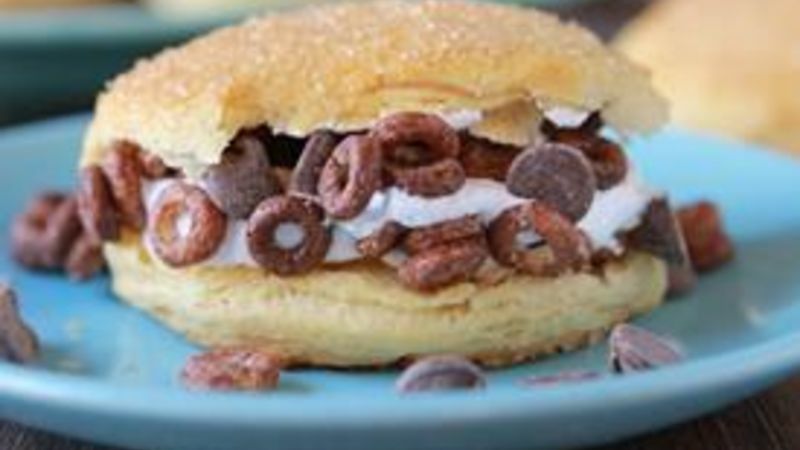 As soon as biscuits are cooked, slice them in half, top with 2 tablespoons each of marshmallow creme, chocolate chips, and chocolate cheerioes™. Replace the top of the biscuit. Serve immediately and enjoy! 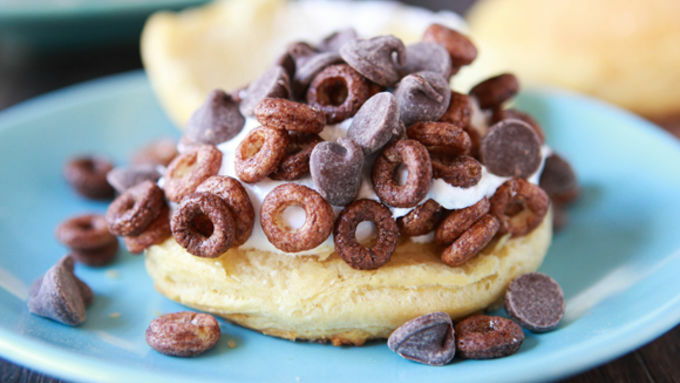 Sugared biscuits topped with marshmallow, Chocolate Cheerios, and chocolate chips. Heck, yeah! You'll be over the moon for these Supersonic S'mores! Everyone loves s'mores, but have you ever had that strange moment when you bite into a fire-roasted hunk of graham cracker and feel like it just doesn't taste as good as it's supposed to? The chocolate doesn't melt right, or the marshmallow has ashes all over it. Well, hold on, Nelly. These biscuit-baked Supersonic S'mores solve all of those problems, and take the classic s'more flavor to a whole new level. 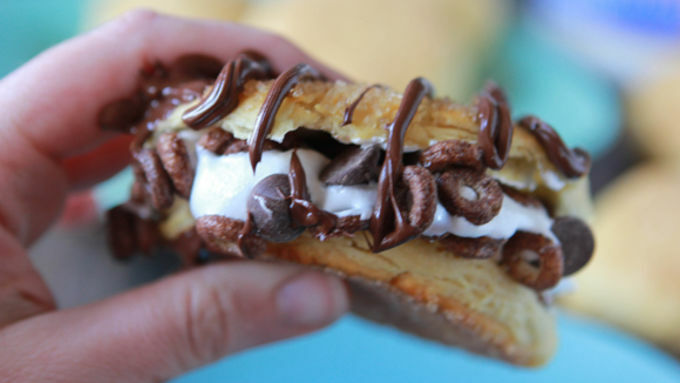 Eat, enjoy, and grab s'more!